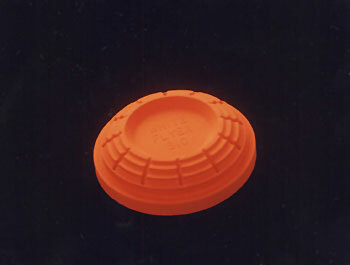 As we think about the upcoming bird seasons and the amount of time since we have sent a load of shot after a fast-flying dove or quail, it's not too early to get the shotgun out and work on some flying clay targets. White Flyer has solved that problem! The White Flyer Bio target, which is totally non-toxic and friendly to the environment is currently available only in all-orange. Later productions will include orange dome and white targets. The target has been thrown off all types of throwers with no difficulties and smokes as well, if not better than its pitch counterparts. The White Flyer Bio will slowly degrade with repeated contact with moisture and will normally breakdown in approximately 1 to 2 years. The binder may act as a soil nutrient in certain areas.